Thank you for contacting KW Billman Roofing, a representative will contact you shortly. KW Billman Roofing is proud to have earned the distinction of "Master Elite Residential Roofing Contractor" from GAF Materials Corporationan honor bestowed on only 2% of all roofing companies. With an ongoing commitment to excellence through outstanding service for our customers we have become Southern Minnesota's premier roofing company. 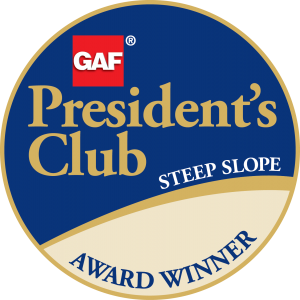 GAF is North America's largest roofing manufacturerin business since 1886. We know what it takes to install a quality roof, and because KW Billman Roofing is a "Master Elite Contractor" we are able to offer the strongest warranty backed by the Good Housekeeping Seal.